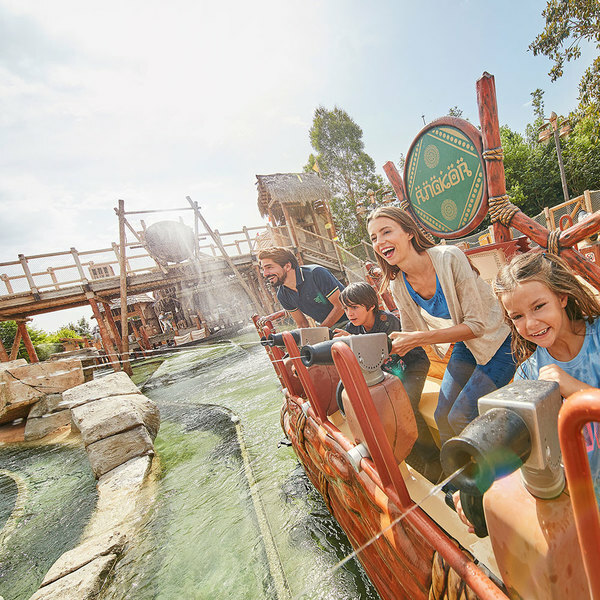 Prepare yourself for an invigorating ride over the rapids of the wild Colorado River in this exciting attraction from the Far West world of PortAventura. Experience the gold rush in the most refreshing way on the Grand Canyon Rapids ride, a replica of the rapids of the wild Colorado river. Your journey along the river will be surrounded by rich vegetation, rocky walls and various waterfalls that you will need to dodge. 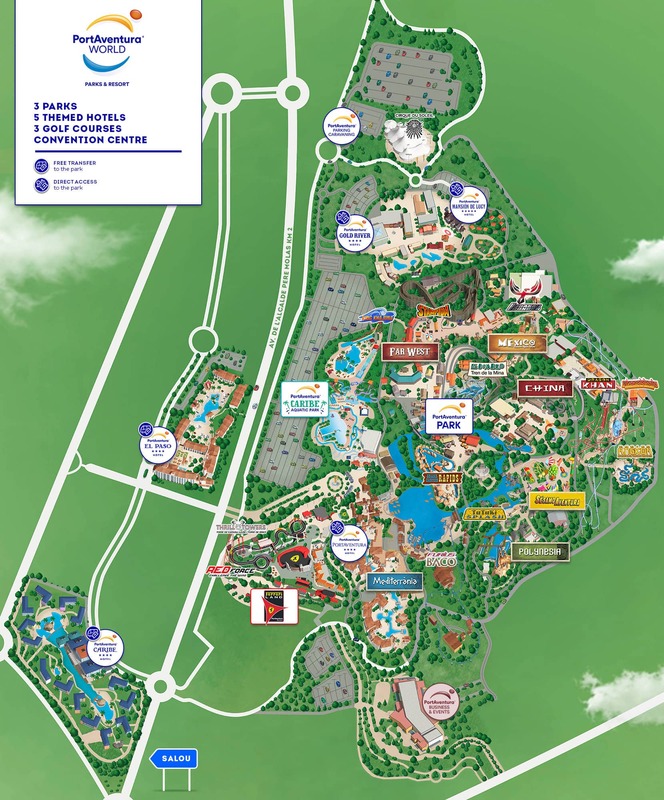 Hop aboard one of these boats that can carry up to nine people and enjoy this attraction in the Far West world with the whole family; brave the power of the river whilst gangsters watch you from their hideouts and wet you with their water guns. Hold on tight because the current will constantly throw you about. 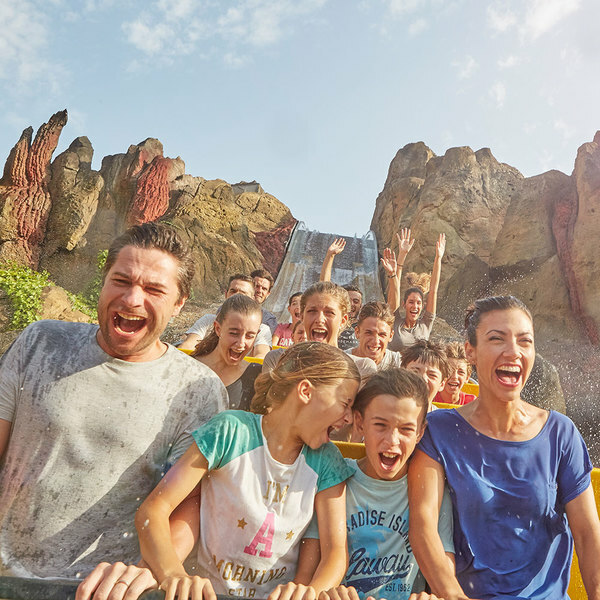 Check your pockets at the end of the ride: the water might just have left a surprise for you in the form of a gold nugget! 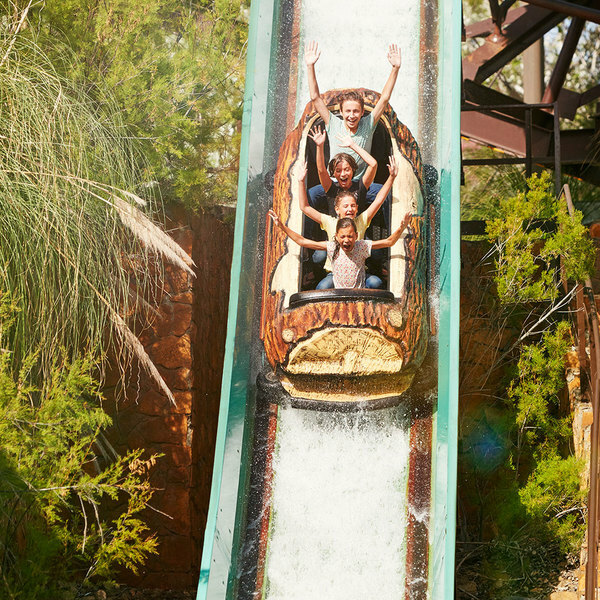 Hop aboard a fun felled tree and cool down in this entertaining ride to the sawmill in PortAventura World. Experience the rage of the volcanic eruption and brace yourself for a cool escape.